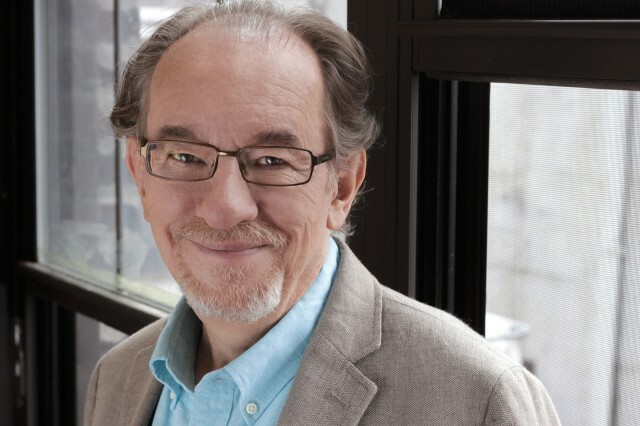 After twenty-eight years as Professor of Music Education at the University of Toronto, David Elliott joined New York University’s Department of Music and Performing Arts Professions in 2002. During his tenure at the University of Toronto, he also served as a visiting professor of music education at Northwestern University, Indiana University, and the University of North Texas. Recent and current visiting professorships include the Puerto Rico Conservatory of Music, the Irish World Academy of Music and Dance-University of Limerick, and the Central Conservatory of Music (Beijing). He is co-author of Music Matters: A Philosophy of Music Education, 2nd edition (Oxford, 2015); author of Music Matters: A New Philosophy of Music Education (Oxford, 1995); editor of Praxial Music Education: Reflections and Dialogues (Oxford, 2005/2009); and co-editor of Community Music Today (2013) and Artistic Citizenship: Artistry, Social Responsibility, and Ethical Praxis (Oxford, 2016). His recent publications include invited chapters in The Oxford Handbook of Philosophy in Music Education, The Oxford Handbook of Music Education, and Music, Health, and Wellbeing. He has published many other invited book chapters and journal articles, and he is co-founder and Editor Emeritus of The International Journal of Community Music. Dr. Elliott has presented more than 250 invited lectures at university music schools in 45 countries, including Queens University Belfast, University College Dublin, University of Barcelona, University of Stockholm, Chinese University of Hong Kong, Sibelius Academy of Music, University of Jyväskylä, University of Oulu, University of Sydney, University of Exeter, University of Auckland, Central Conservatory of Music (China), University of Cape Town, University of Durban-Natal, North-West University, Stellenbosch University, the Irish World Academy of Music and Dance (University of Limerick), University of Porto, University of Freiberg, Ludwig Maximilians University, Auckland University, Tallinn University, UCLA, Eastman School of Music, University of Michigan-Ann Arbor, University of Illinois, Arizona State University, Temple University, University of Texas (Austin), University of Maryland-College Park, Hartt School of Music, Ithaca College, University of Minnesota, University of British Columbia, and the University of Southern California. In addition, he has given numerous keynote presentations and conference papers at international, national, and local conferences, including world conferences of the International Society for Music Education, NAfME, and international and national music education and community music conferences in Israel, Denmark, Taiwan, Malaysia, Japan, Turkey, Mexico, the Netherlands, Belgium, Spain, Italy, and many other countries. He is an award-winning jazz composer/arranger and professional jazz trombonist, and he has published many jazz choral and instrumental works with Boosey & Hawkes. Marissa Silverman is Associate Professor and Coordinator of Undergraduate Music Education at the John J. Cali School of Music, Montclair State University (New Jersey). A Fulbright Scholar, Dr. Silverman has published in the International Journal of Music Education; Action, Criticism, and Theory for Music Education; British Journal of Music Education; Research Studies in Music Education; Music Education Research; International Journal of Community Music; Visions of Research in Music Education; and The New York Times. 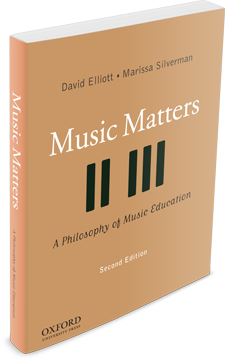 Dr. Silverman is co-author of Music Matters: A Philosophy of Music Education, 2nd edition (Oxford University Press, 2015) and co-editor of Community Music Today (Rowman & Littlefield, 2013) and Artistic Citizenship: Artistry, Social Responsibility, and Ethical Praxis (Oxford, 2016). Her recent publications include invited chapters in The Oxford Handbook of Philosophy in Music Education; The Oxford Handbook of Music Education; Music, Health, and Wellbeing; and Music Education: Navigating the Future. 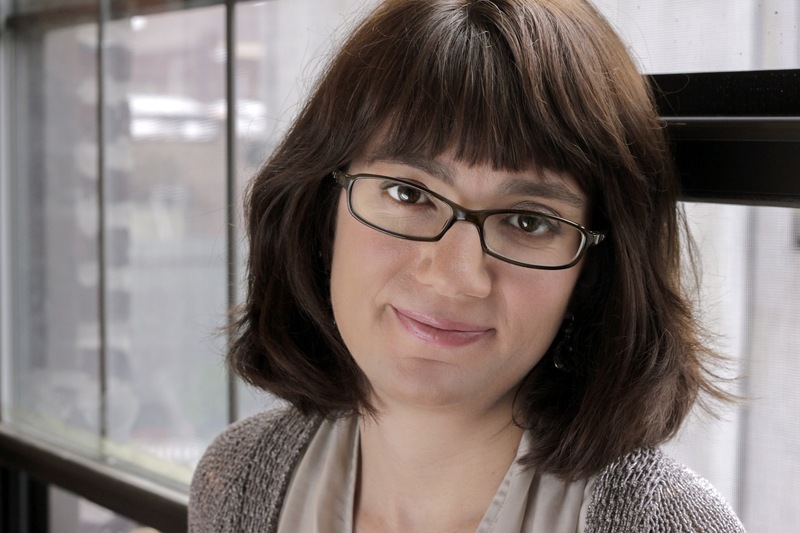 Her research interests include issues in the philosophy of music and music education; ethics, music, and music education; community music; artistic interpretation; and interdisciplinary curriculum development. Dr. Silverman holds a PhD in performance (flute) from New York University, as well as degrees in English literature (NYU), and education. She has appeared as a soloist, chamber musician, and orchestral performer in New York City and the metropolitan area, as well as festivals throughout North America. As well as chamber works of the late Classical period, she is particularly interested in music of the French Baroque, and contemporary Russian music. Before being appointed to the music education faculty of MSU, she taught in the graduate performance and music education programs at NYU (2000-2009), the Brooklyn College Conservatory of Music, and Rutgers University. As a secondary school teacher, Dr. Silverman taught band, general music, and English literature at Long Island City High School (Queens, New York).